[Music] L.A.X – Run Away (Remix) ft. Wande Coal | IkoroduVibes | Exporting Africa Entertainment..
Rasaki Records heavy hitter, L.A.X does the needful by blessing us with a remix to one of the hottest tunes outta Naija in 2017, “Run Away“. There’s hardly a better artist to feature on such a dope record than the Black Diamond himself, Wande Coal. It’s clear the Starboy affiliate (watch his detailed interview) is having a great year, enjoying a strong solo/independent run thus far. 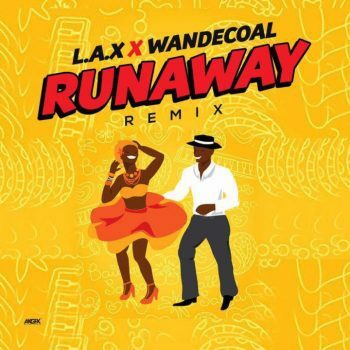 0 Response to "[Music] L.A.X – Run Away (Remix) ft. Wande Coal "